Leighton Baines, player of the month??? It is with great surprise that we announce Leighton Baines as the St Dom-index player of the month for September. Baines has performed consistently throughout the month, producing an outstanding match winning performance away at West Ham that stole the headlines and the plaudits. That display lifted him above some of September’s top performers in Blue, with new signings Romelu Lukaku and Gareth Barry, reduced to 3rd and 6th in the running order. A player of the month award will always cause some debate, especially when a mathematical formula is applied. The score in the graphic below is based on the four competitive matches played during September, including the Capital One Cup tie with Fulham. Each player received a score for each game they played, which was then averaged over the number of games they featured. Any player who played less than half of the months fixtures, has not received a rating. However, it is not only our scoring system that places Baines near the top of the pile. Only Lakuku outscored the England full back, with Baines’ two goals against West Ham, arguably the pick of the season so far. His left footed free kicks were exquisite, one into the top left corner, the other into the top right. Not since the brilliant Kevin Sheedy, have Everton had such a prolific and potent free kick expert. Baines continued to be effective in attack and was brilliant in defence, particularly in the game with Chelsea, where he certainly outshone his rival for the England number three jersey, Ashley Cole. Leighton Baines is almost certain to start the two England games over the next 7 days and his form in the season to date has done nothing to diminish rumours of a move to Manchester United. What are your thoughts? 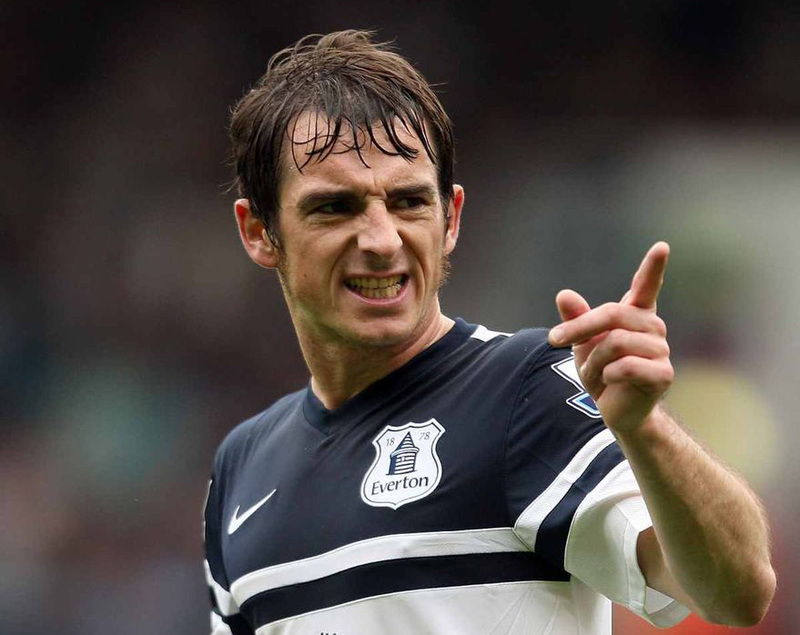 Is Baines a deserved winner, or were Lukaku, Barry, McCarthy and Barkley streets ahead? After each game, the St Domingo’s team provide a brief review of the match with performance ratings for each player. Each month these ratings will be used to decide the St Domingo’s player of the month and at the end of the season, player and young player of the year. Please let us have your comments and feedback. Previous Post Is now the time to sell Jelavic? Next Post Can Everton overcome their inability to win away at the ‘big four’?